SYNOPSIS: Because of Atomic Bomb explosions women in the future will no longer be able to have babies and they'll also grow facial hair! 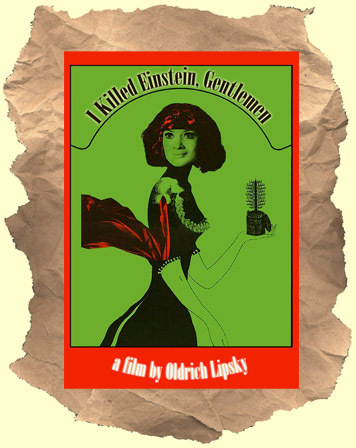 In this wild Czech comedy / sci fi mix the citizens decide that the best plan is to build a time machine, go back in time, and kill Albert Einstein! No atomic bomb, no problems with the ladies. Of course, in Czech comedy tradition, things don't go exactly as planned. Another fun import rarity you'll dig. In Czech language with English subtitles. WIDESCREEN.